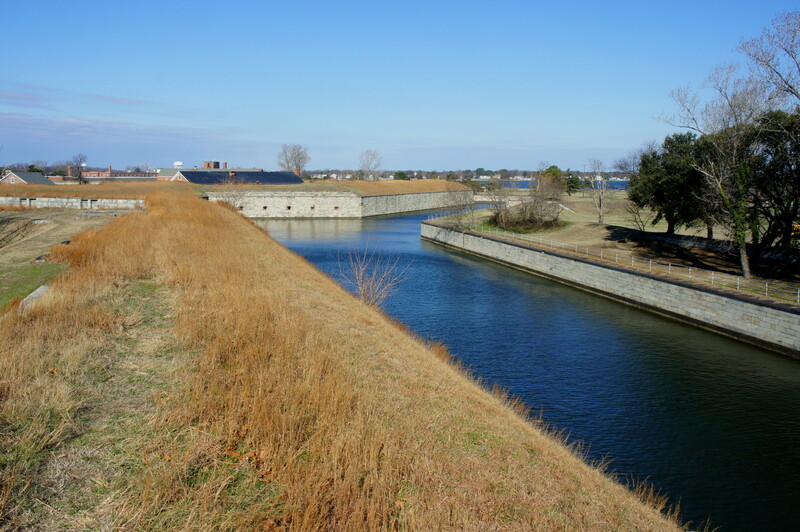 Fort Monroe National Monument in Hampton, Virginia boasts the largest stone fort ever built in the United States, and its storied history spans the colonial period to the Civil War to the World Wars to the present. 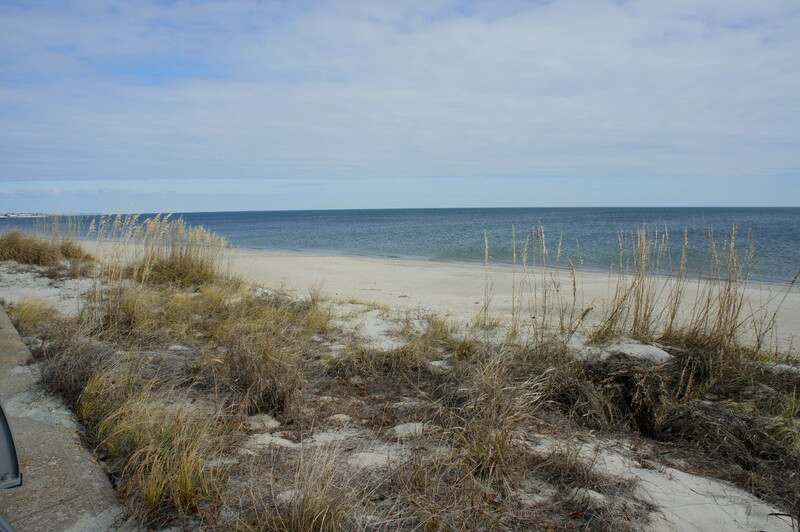 Its location at Old Point Comfort—the southeast tip of the Virginia Peninsula and the gateway to the Chesapeake Bay—was no accident. After being pummeled by the British Navy during the War of 1812, President James Monroe called for the establishment of new coastal defenses in 1819 at strategic nodes along the Atlantic seaboard. (Note: This same effort led to the construction of Fort Sumter and Fort Pulaski, among others.) Built on the site of two previous forts dating to Captain John Smith’s expedition in the early 17th-century, Fort Monroe was completed in 1834. While it never came under foreign assault, the US Army base would play a critical role in the Civil War. 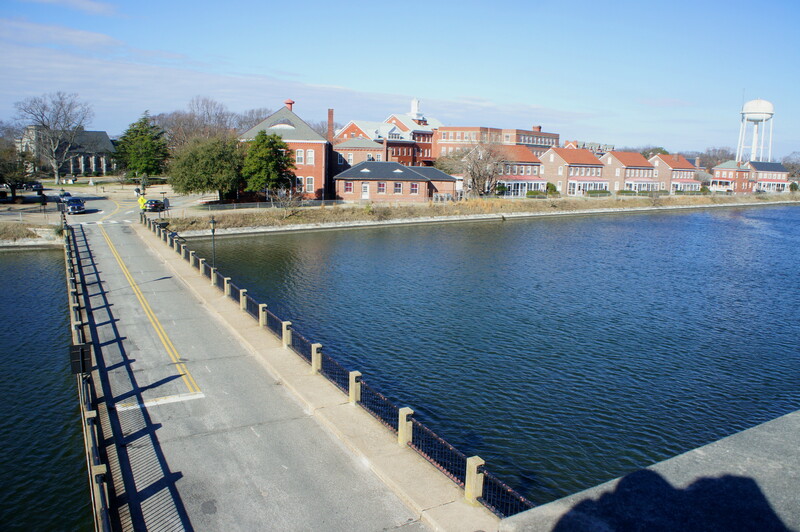 As Virginia seceded from the Union in May 1861, Federal forces reinforced Fort Monroe to ensure it kept a foothold on the Virginia Peninsula. It went on to serve as a key staging point for Union Gen. George McClellan’s Peninsula Campaign, a large-scale attempt to seize Richmond, the Confederate capital, in the spring of 1862. During the war, the base became known as “freedom’s fortress” because it offered a refuge for escaped slaves. 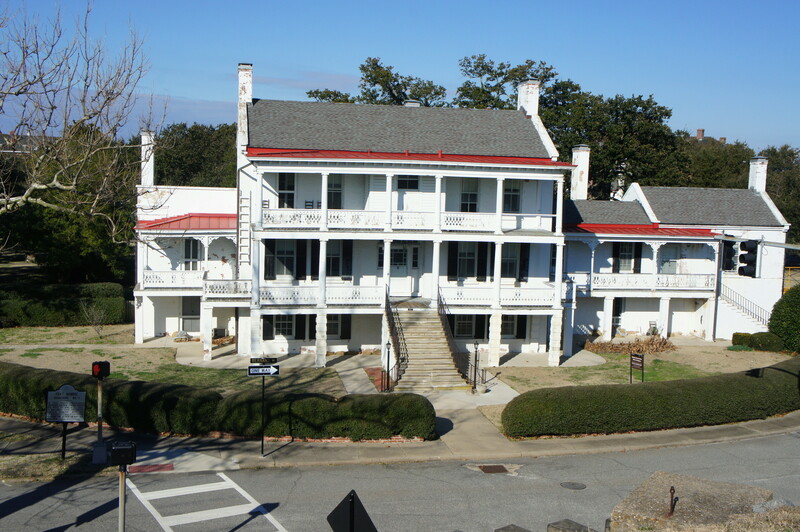 The garrison at Fort Monroe also supported Gen. Ulysses S. Grant’s successful siege of Petersburg in 1864 and briefly hosted President Abraham Lincoln…who took it upon himself to “invade” the South during a reconnaissance mission in May 1862, becoming the only sitting president to set foot on enemy territory. After the war, the fort was notable for briefly hosting an imprisoned Jefferson Davis, president of the Confederacy. 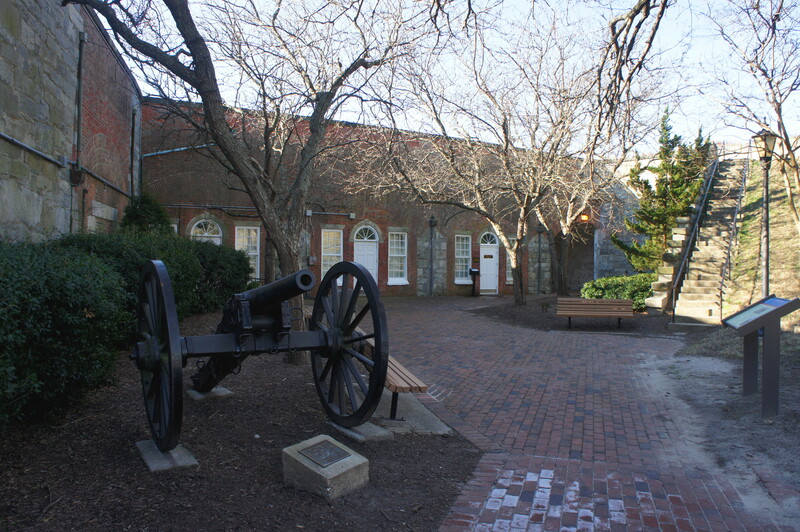 During the the 20th century, Fort Monroe hosted a prominent artillery school, and it served as an Army training center until it was decommissioned in 2011. Today, visits to Fort Monroe should start and end at the Casemate Museum, which provides an excellent overview of the site’s history. 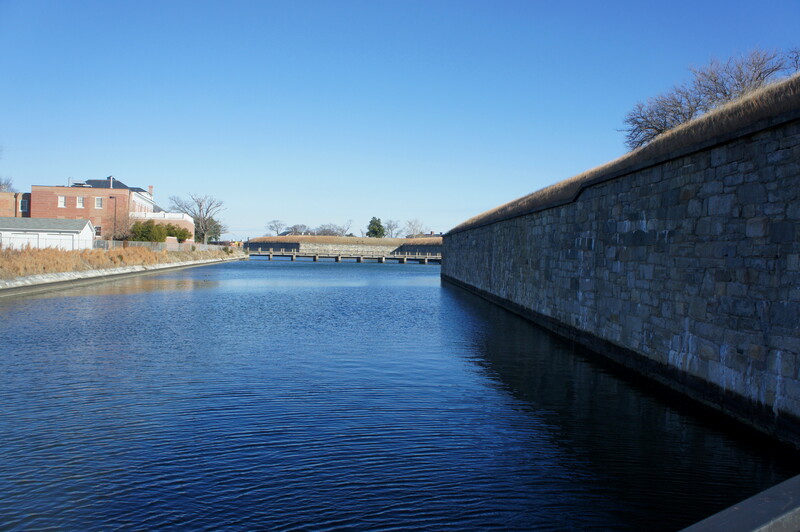 Those looking for a walk can circle the ramparts, which offer views of the Chesapeake Bay and the impressive moat that surrounds the fort. 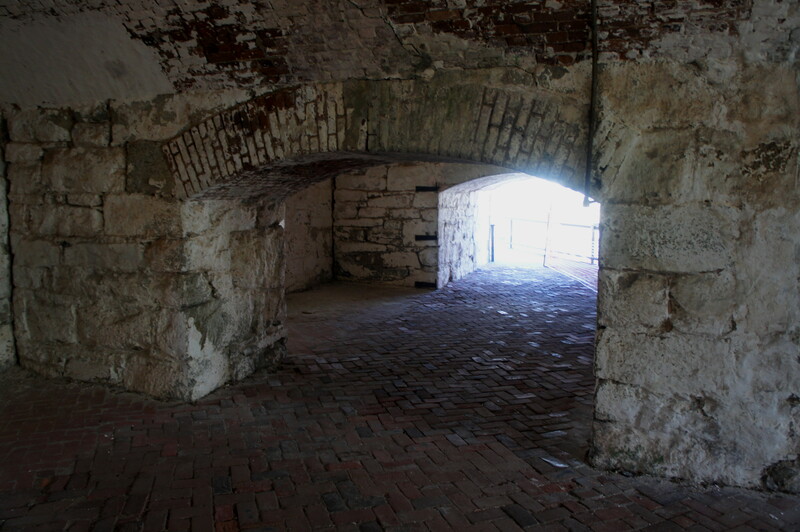 Inside the fort’s walls, there are a number of buildings of interest, including future General Robert E. Lee’s quarters (he was a young engineer at Fort Monroe before the Civil War) and Quarters #1, where Lincoln stayed during his trip in May 1862. 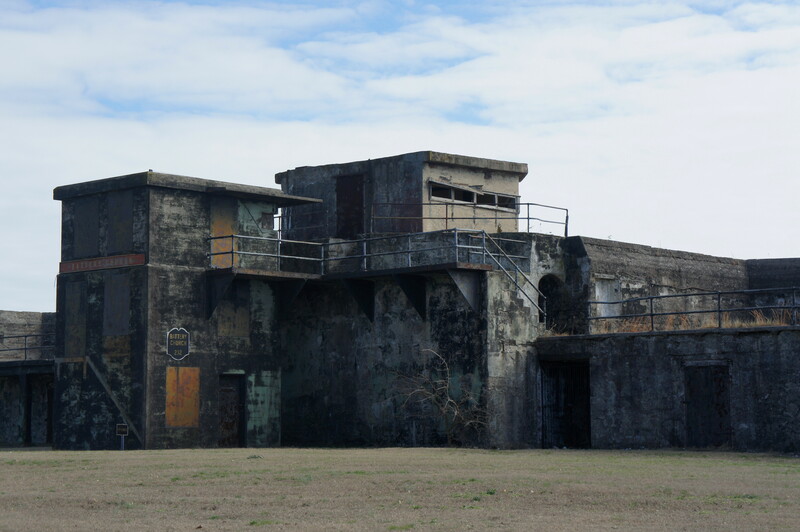 Outside the fort, there is second park unit to the north, titled the “North Beach Area.” Here there is beach access, a picnic area, and a trio of concrete batteries constructed in the early 20th century: Battery DeRussy, Battery Church, and Battery Anderson-Ruggles. 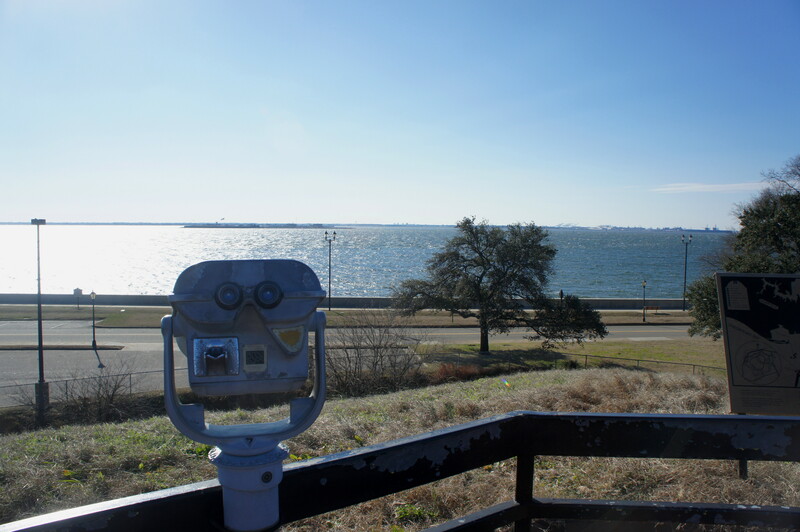 Between this and the fort, it’s easy to spend several hours at Fort Monroe (the 2 hours I spent there felt very rushed; I could have easily spent double that time). This entry was posted in Civil War, Hampton Roads, Virginia and tagged Battery Church, Casemate Museum, Chesapeake Bay, Civil War, Flagstaff Bastion, Fort Monroe, Hampton, historic, Peninsula Campaign, Virginia. Bookmark the permalink.